Are you looking for someone that can help educate your staff and/or Board on how to be more effective, productive, and profitable? If yes, I may be just the person to help. I have been working with nonprofit and governmental organizations for many years. My background includes for profit and not-for-profit organizations. 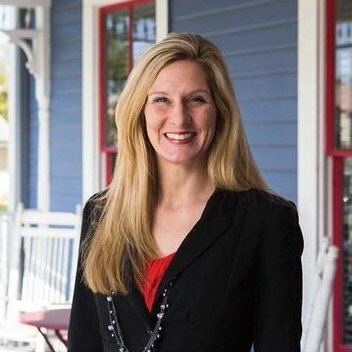 I currently have the pleasure of representing the Leander community as the President & CEO of the Leander Chamber of Commerce. I have presented sessions on creating loyalty through experience, social media, and nonprofit management at the Nonprofit Day at the Direct Marketing Association’s Annual Conference, the Association of Fundraising Professionals, Charity Channel, and the Bridge conference. In addition, to many local nonprofits and foundations dedicated to the nonprofit sector. My witty, in your face honesty exposes the truths of non-profit management and helps executives and marketers realize their full potential. I have a Bachelor of Business Administration degree in Finance, with additional coursework in management and marketing, from The Red McCombs School of Business at The University of Texas at Austin, and an MBA from Texas State University-San Marcos. I was the co-founder of Support Behind the Badge. I have also had the honor of being selected as one of the Top 50 Women in Business by the Austin Business Journal, twice. I have won numerous marketing awards, including two Best in Show awards. I am very passionate about the non-profit sector and helping non-profits increase awareness, consideration, and donations! I am fairly new to the world of donor coordination and have recently come across what could have been a potential problem; a long-time donor sent an email asking why we hadn’t cashed his donation check. The donation was made two months earlier, in response to a letter we sent asking him for his support, but we had no record of ever having received the check. We are able to resolve this issue fortunately, but what would be the protocol if we hadn’t? What do you say to a long-time donor when you have no record of receiving their latest donation check (and it hasn’t been cashed by anyone else)? Thank you for your help! That is a great question and one that probably comes up more than it should. I have to say I think the right and first thing to do is apologize. No one is perfect and no one expects anyone to be perfect. Own up to the mistake, assure the donor that you are doing everything possible to prevent it from happening again, and apologize for what happened. Then immediately move into what the donation means for the org and how it is going to make an impact. Another option is to move to a recurring giving model for large donors, that would prevent this from happening and create a plan for the donor…it is worth a try. I think you are AWSOME!